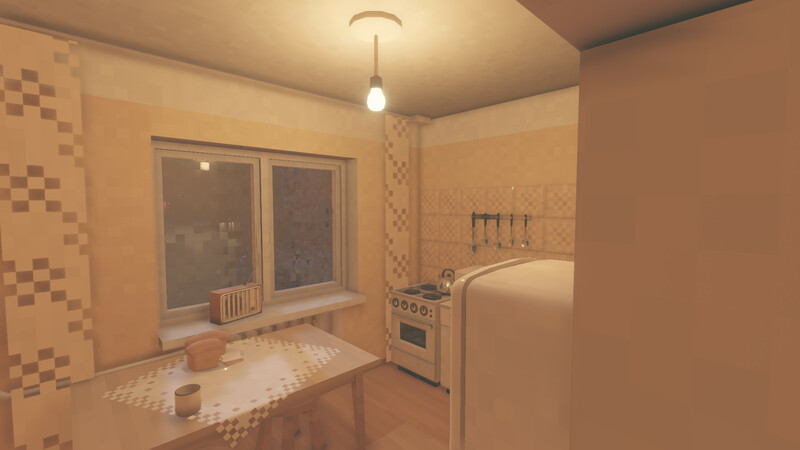 Panel houses, snow, overcast sky, tiny kitchen, shabby staircase… It’s Winter is an indie game which genre could be classified as sandbox, post-soviet, sad 3d, russian sadness. Nothing awaits you: there is no chance to get out, no room for adventures and breathtaking plot. 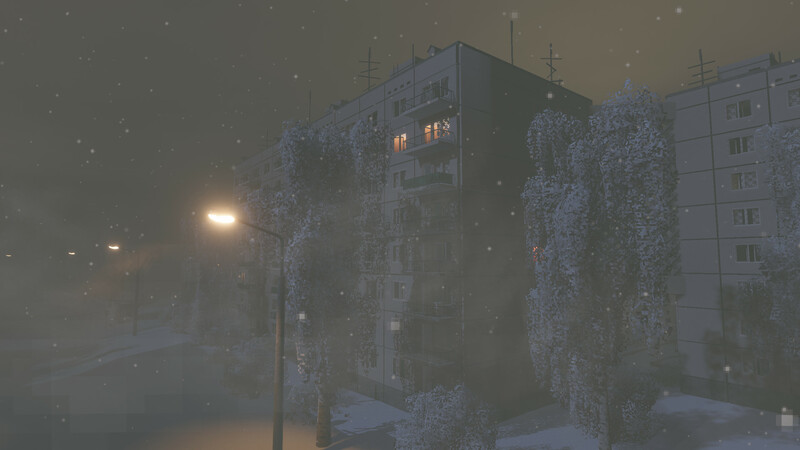 “It’s Winter” game was released and it traps you in an endless “groundhog night” in a provincial town: a scarily convincing simulation of an average Russian’s life. Suddenly, you’re awake at night in a one-room apartment in a Russian town. You are poor: you don’t even have a computer, only a radio in the kitchen. Let’s check out the fridge for something to eat. For all you lovers of obscure Russian art, the game “It’s Winter” was created as a part of a project titled “WINTER”, by Moscow poet Ilya Mazo. The project, which the author calls “a digital opera”, includes a book of poems, a short movie, a music album and a theatrical performance that is yet to be announced. 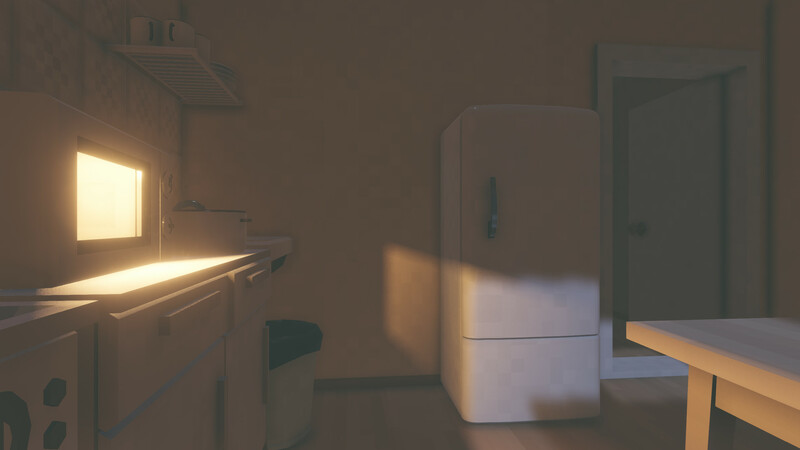 The game has been released as a part of a larger project by poet Ilia Mazo, which also includes a book, a play, a short film, and a musical album (turn on the radio in the game to listen to the music). The game’s developer announced on Twitter that a summer version of the game is in the works. The game is available for download on Steam here. Ilya Mazo created it in collaboration with well-known underground game designer Alexander Ignatov (sad3d), which is a part of the “ШХД: ЗИМА” multi-platform project which consists of the book, music album, short film and theatre play.